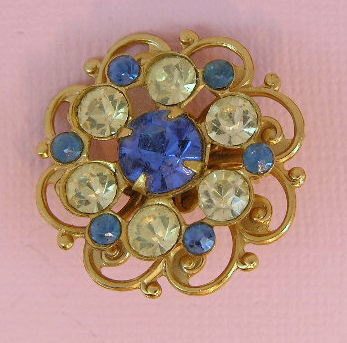 Etsy: Where all the vintage brooch pretties sparkle. 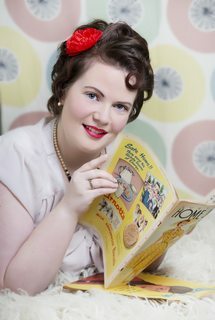 I have to say, I’m a little picky when it comes to purchasing a vintage brooch. particularly if I can’t see and touch it. 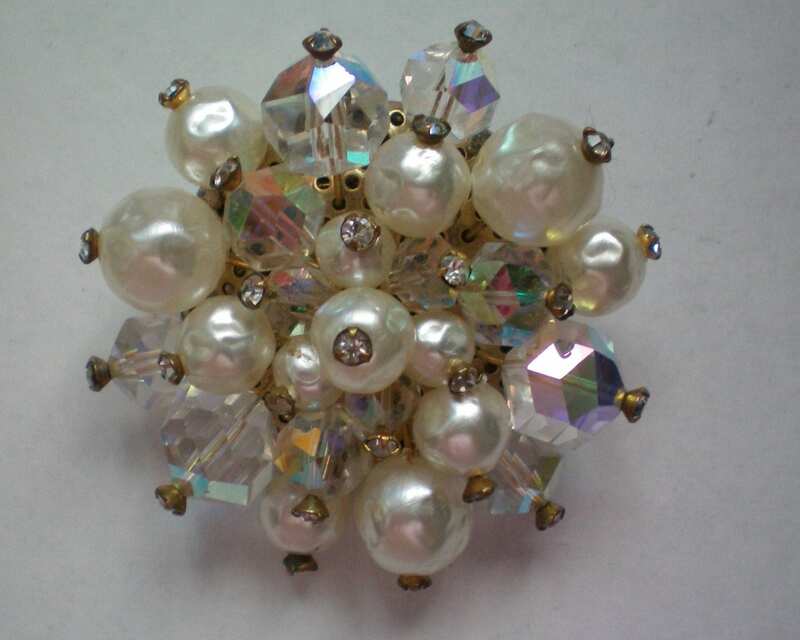 I don’t wear silver/silver-toned jewellery so I have to really love a vintage brooch for it to have silver tones. That’s not to say that I don’t think they’re gorgeous, they’re just not for me. Etsy has an amazing array of brooches that I love to fawn over, including these beauties. Today’s Friday Finds are all priced under Australian $50, excluding post, so quite affordable indeed. I have a pair of clip on earrings just like this brooch, and although they aren’t the same colours, I think that because they’re the same style they’d work perfectly together. Great for day or evening. There is something about Koi that draws me in every single time I see one. They are a breed of carp, and have gorgeous colourings. If I was ever able to have a tattoo, it would most certainly be a koi. I love the colour way of this brooch, it matches the two rings I wear already, and my wedding ring when it arrives (though I can’t wear it for another three months!). Blue is my favourite colour, and the gold tone matches perfectly with my other jewellery. This simple flower also doubles as a pendant, according to the product listing. The warm amber colours grabbed my eye, and its cute size. I’d love to add this to my collection for sure. Fawning over a gorgeous vintage brooch puts me into such a spin. I will add brooches to my shopping cart but walk away knowing that I have other things to buy and pay for (the perks of being an adult). 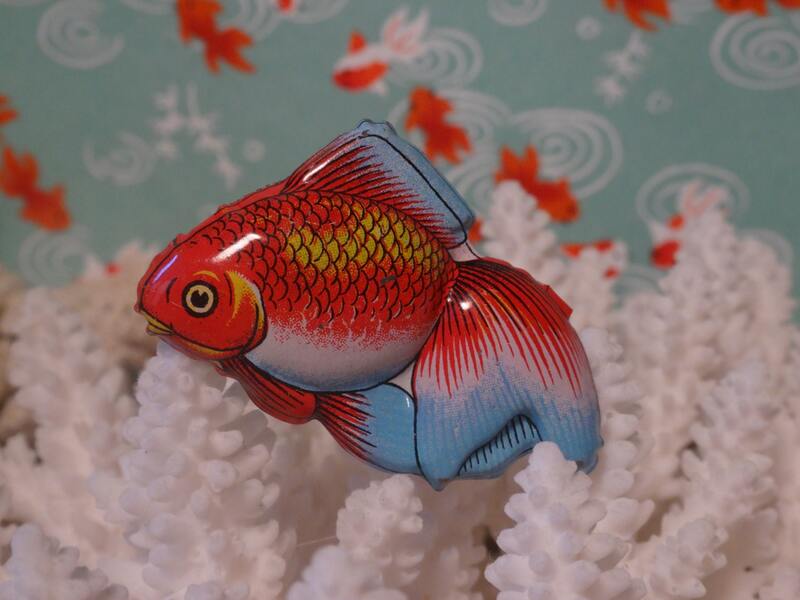 If I had to pick a favourite from these four, it would have to be the 1930s Japanese Koi vintage brooch. The bright colours, the pressed tin, the detail in the artwork, they make my heart beat faster and faster. 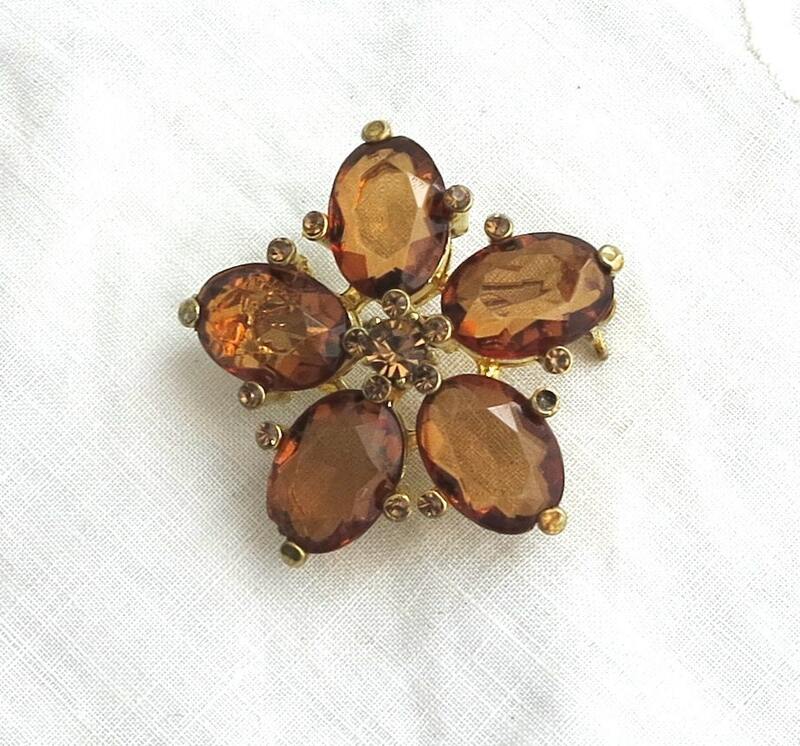 Do you like to add a vintage brooch to your outfit?